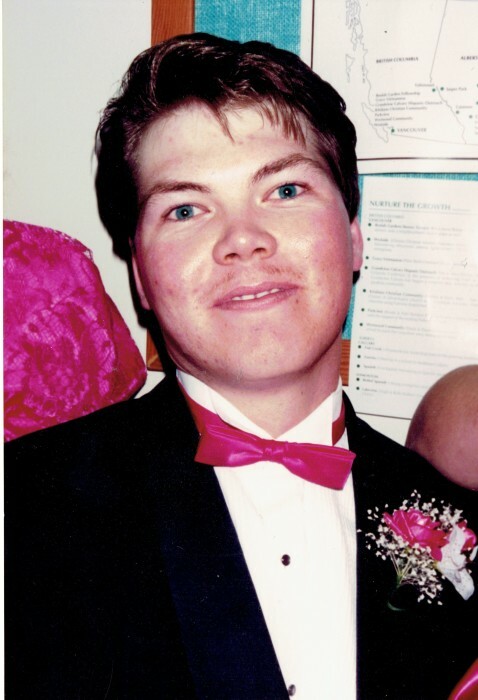 Obituary for Brent Ewert | Grays Funeral Chapel LTD.
We are so deeply saddened to announce the passing of our loving son, father, brother, and uncle who passed away on January 24, in Prince Albert, at the age of 48 years old. Brent was born at Holy Family Hospital in Prince Albert and spent his first four years living in Waskesiu. He moved with his family to Prince Albert in 1974. He attended John Diefenbaker and Carlton High School, as well as SIAST. He was involved with Beavers, Cubs, and Navy Cadets. He was raised in First Baptist Church and attended Sunday School, church, Awana, and was later baptized, as an adult, in the church. Brent was a great lover of the outdoors and loved spending childhood weekends with his Dad in the Prince Albert National Park. He enjoyed fishing, hunting, scuba diving, snowmobiling, quading, boating, and canoeing. He was also at the cabin at Candle Lake as time would allow. He also spent some time living and working in LaRonge. He is survived by his two loving children Katarina Ewert (Mother, Peggy Patzer) Connor Ewert and step-son Dale McKenzie (Mother, Sara Ewert), his mother Ellen Ewert, his sister Susan (Bruce) Wasylak, his niece Alicia Wasylak (Chevy), nephew Michael Wasylak, and his grandmother Mildred Moore. He is also survived by numerous Aunts, Uncles, cousins, and friends. He was predeceased in 2012 by his loving father, George Ewert, who he missed and loved so much. He was also predeceased by his grandfather Bliss Moore, his paternal grandparents Gerhard & Maria Ewert. A memorial service will be held at First Baptist Church, 1351 28th Street East, Prince Albert at 2 p.m. on Thursday, January 31, 2019. Rev. Sean Cruickshank will be officiating. A graveside service and interment will be in the Garden of the Last Supper at Memorial Gardens at a later date. The Memorial Fund at First Baptist Church, 1351 28 ST E. Prince Albert, SK S6V 6T4.